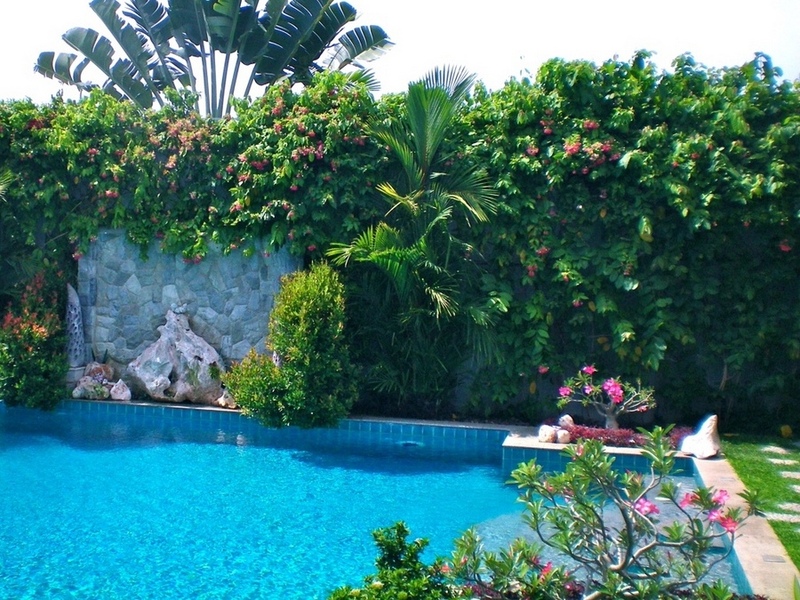 This lovely quality villa offers absolute privacy and a beautiful and generous garden area with all the beauty of tropical blossom. The high surrounding wall is nicely covered with greenery. 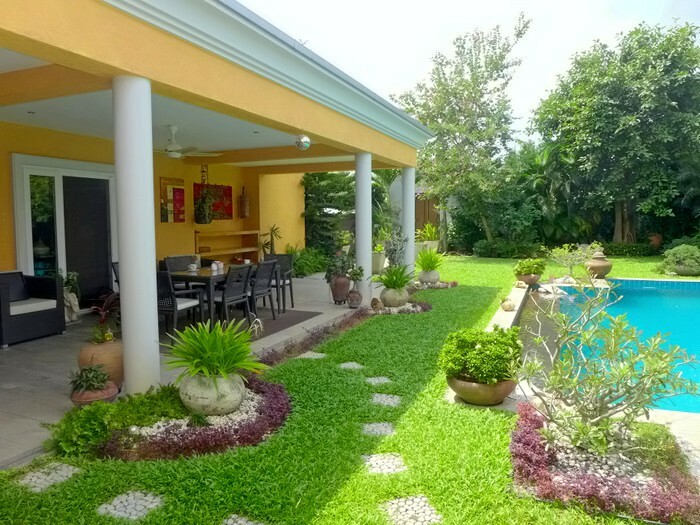 The inhabitants can enjoy nice breezes in their wonderful private garden and pool area. 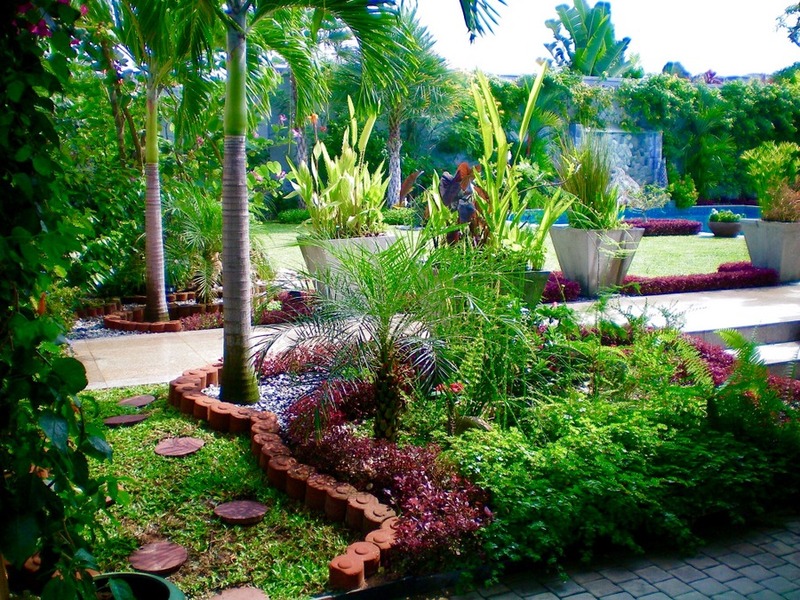 Behind the large pool, there is a lovely waterfall and there are other charming water features on the property as well. 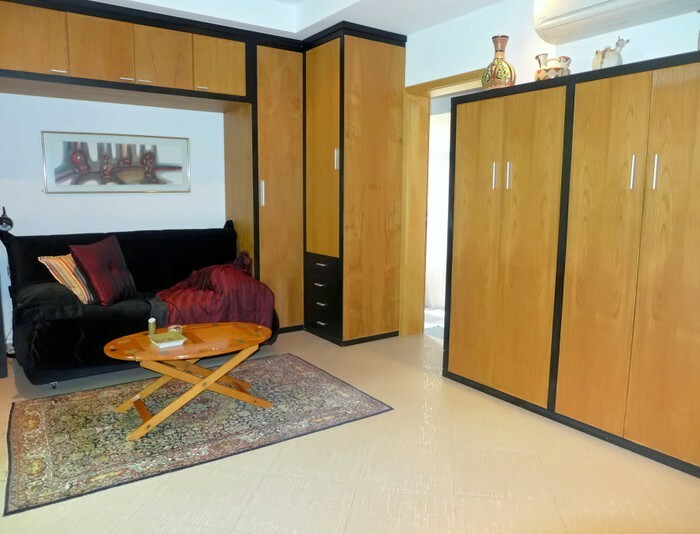 The living-area is light and airy, through its cathedral style ceiling (with ceiling air conditioner) and the generous windows and wide sliding-doors. 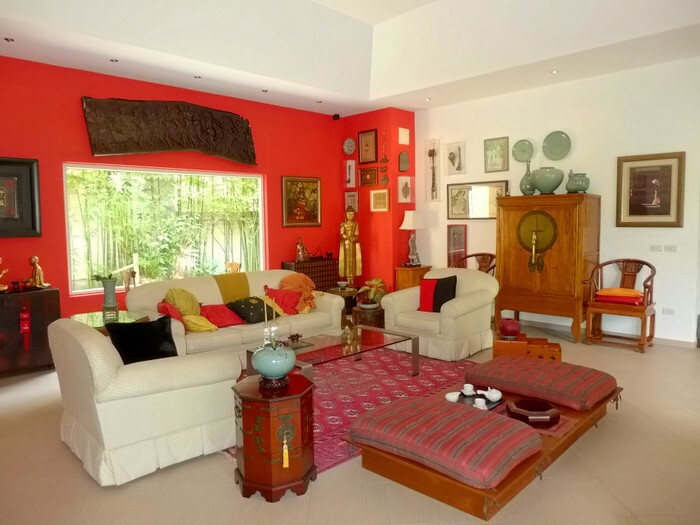 It now contains a marvelous collection of antiques and deco items that will stay with the seller. 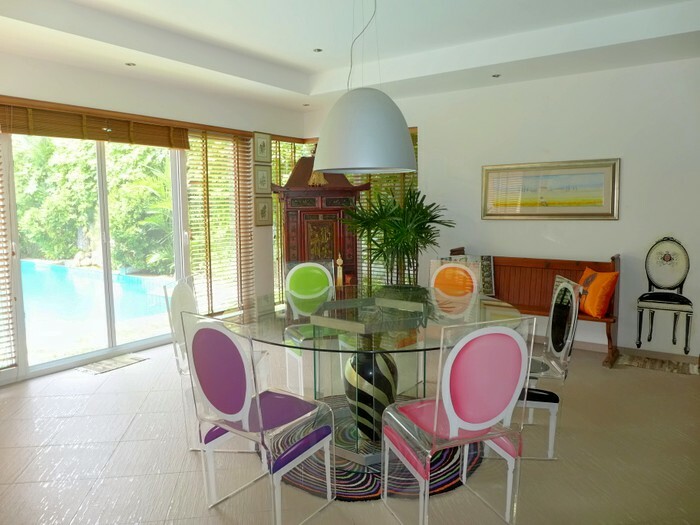 Adjacent, there is the dining-area with a modern table for six persons and lovely views as well. 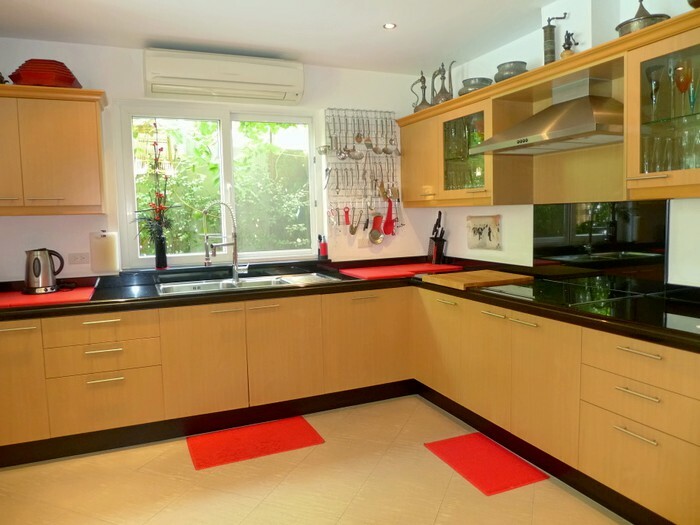 The generously large and modern Western kitchen provides black granite worktop, ceramic cooktop, extraction fan, oven, a dishwasher, double sink and is air conditioned as well. 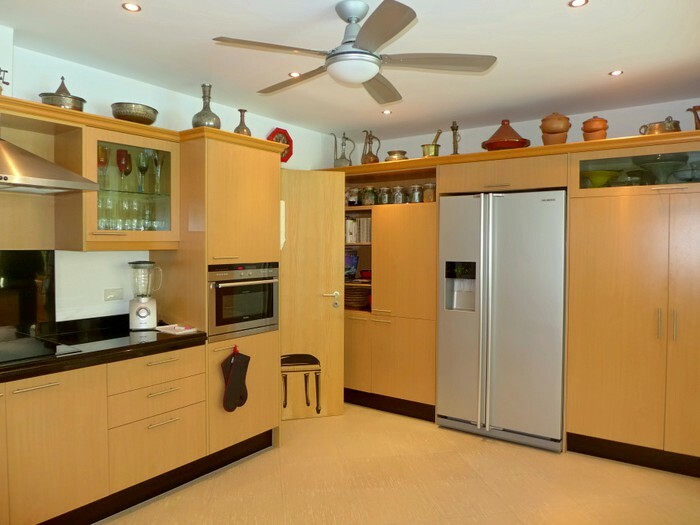 It is bordered by a breakfast counter and is accessible from the dinging-area and the storage rooms in the backside. Those also contain the laundry area with washing-machine and tumbler. 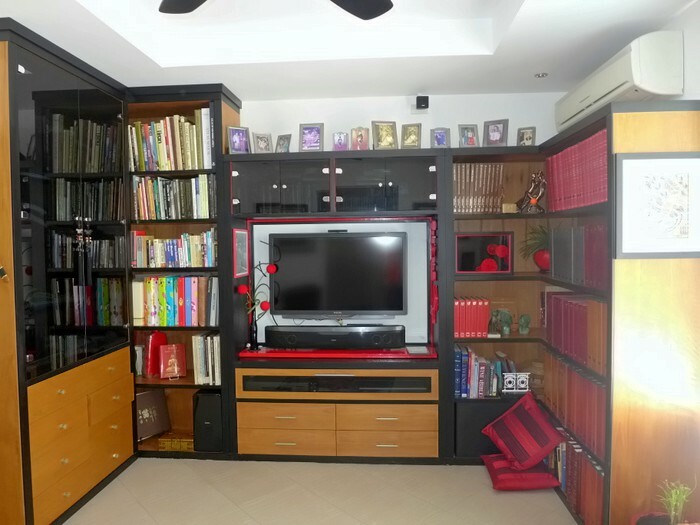 There are 3 bedrooms, one currently used as a home-theater and office. 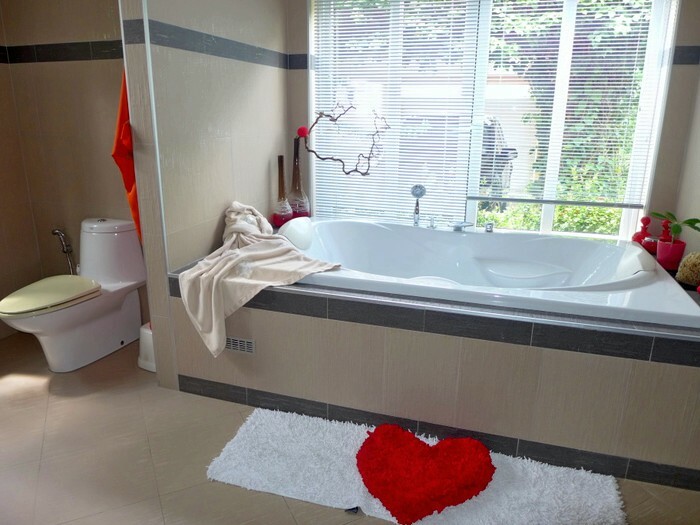 The main bedrooms offer modern en-suite bathrooms, one with a large bathtub with garden views. There is a large covered outdoor area with a dinging table plus deck- and armchairs. All air conditioners are expensive Daikin brand models, there is an alarm system just to have it as the estate is very safe with its 24 hrs stationary and patrolling guards. The UPVC sliding-doors and windows are very durable and also provide mosquito screens for a pleasant airflow. 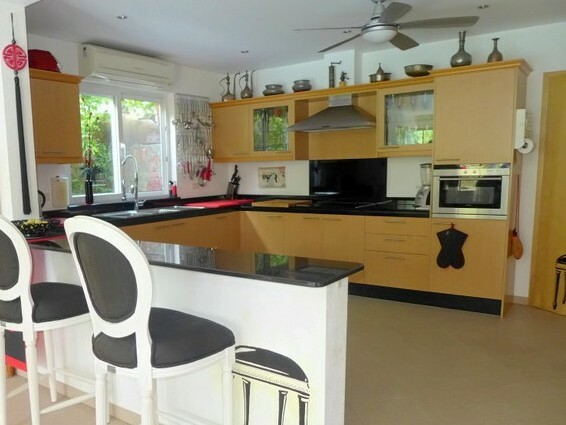 A wonderful villa within a first class housing estate offering plenty of services. 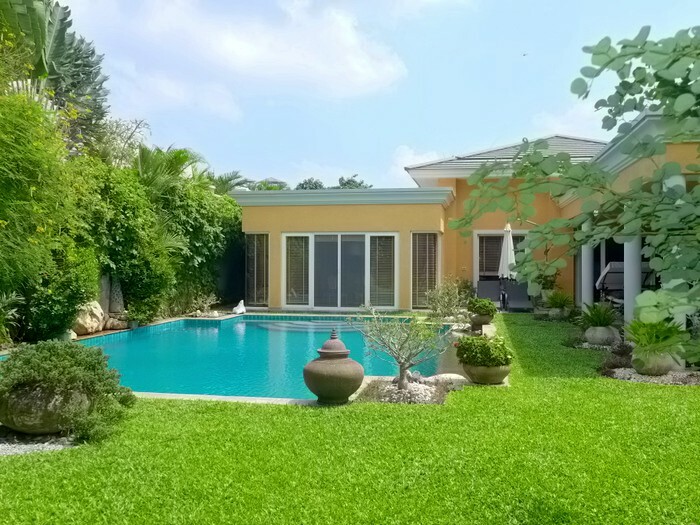 Doubtless the best 2019 offer in Pattayas most luxurious housing-estate. 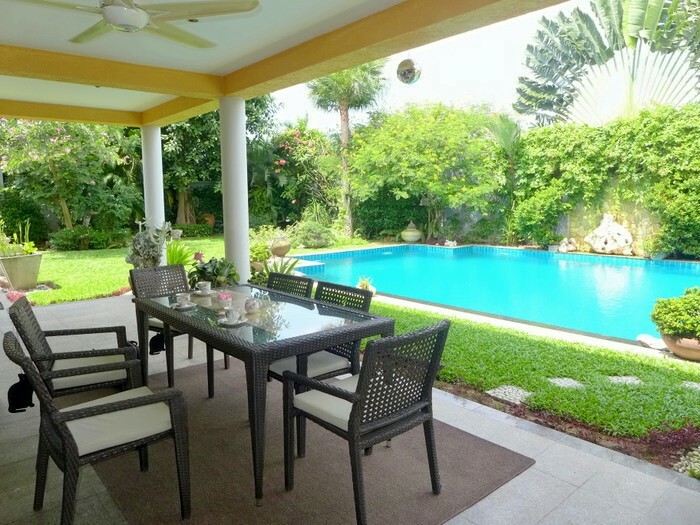 This quality villa offers absolute privacy, beautiful living-space and a generous garden area with a large pool. 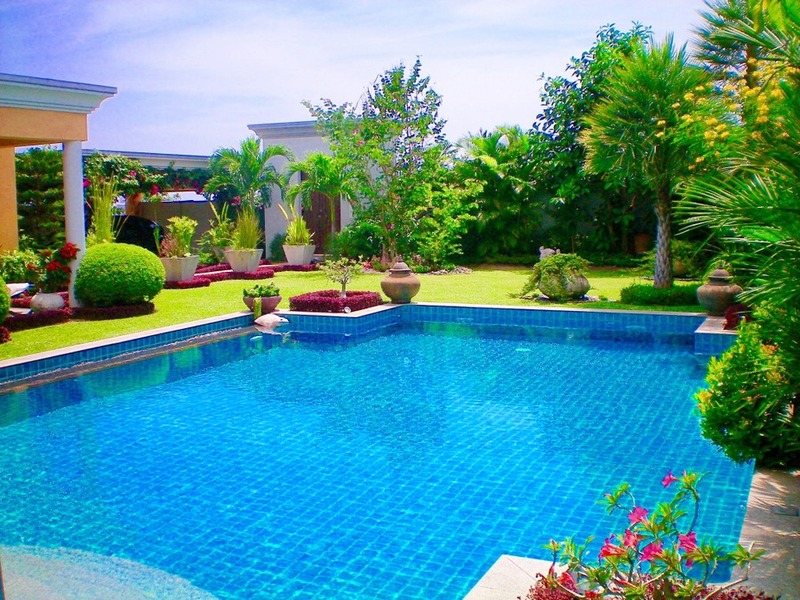 Siam Royal View, often referred as “the Beverly Hills of Pattaya” is a popular, top-class housing estate. Wide, well manicured roads, nice greenery, all electrics underground and plenty of space for a walk around a pleasant neighbourhood. The village provides plenty of amenities and capable maintenance staff. Situated on the highest point of Soi Khaotalo, this generous and large village offers great views over Pattaya, the seas and the islands. 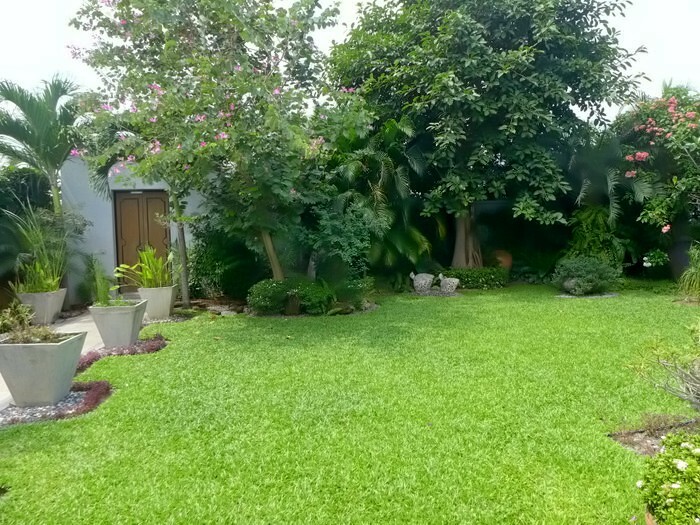 There are just minutes to the vibrant city center through several access roads. Fresh- and mini-markets are just a few stone throws away. Sukhumvit Road and the highway access can be reached in 10 Minutes. 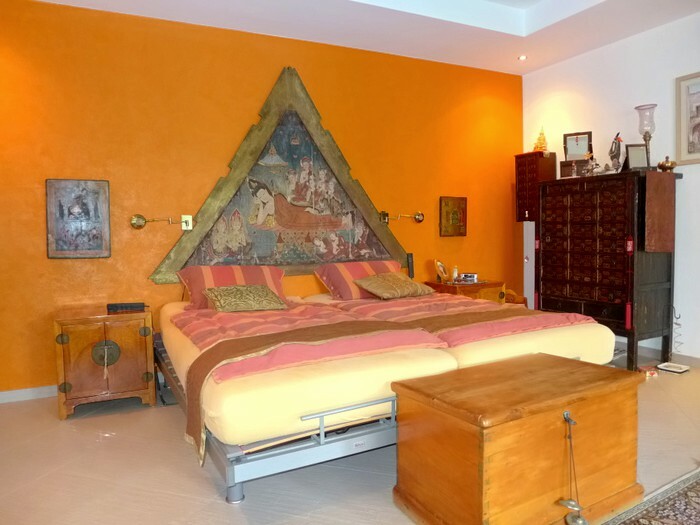 he built-in and some loose furniture are included in the sales price, but the majority of the antique and collectors furniture will stay with the seller. 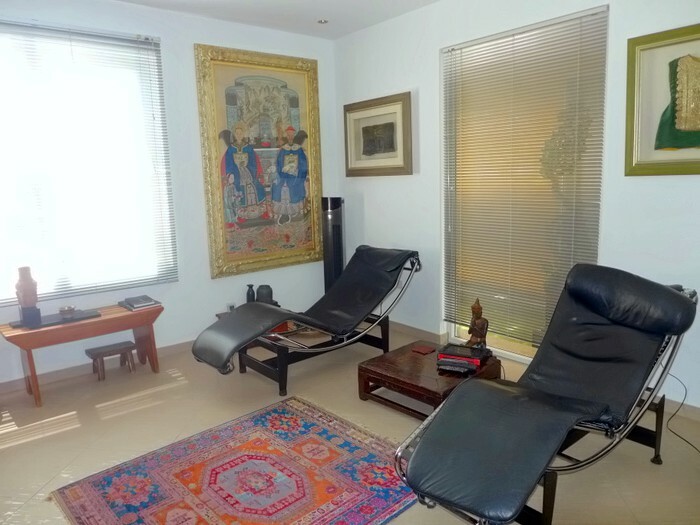 The property comes with a Company limited easing the transfer and marginalizing the fees.